Haleakalā Visitor Center. 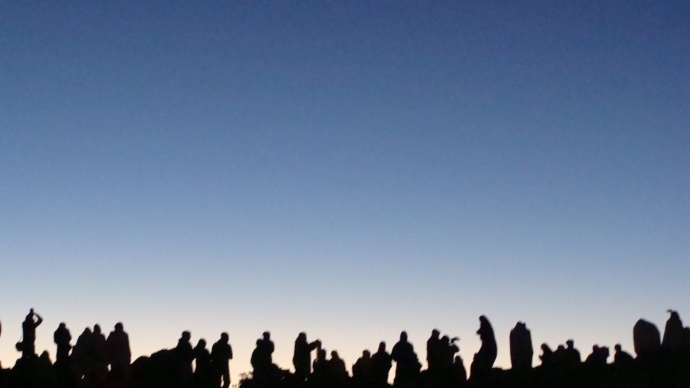 Silhouettes of sunrise watchers line the horizon. People Pōhaku, photo by Wendy Osher. 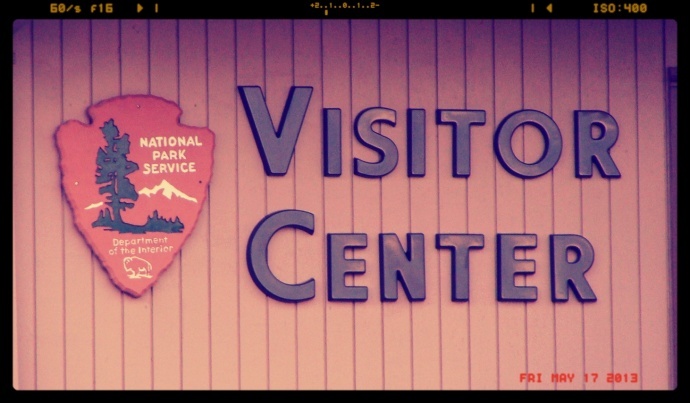 The Headquarters Visitor Center passenger car parking lot, at Haleakalā National Park will be closed from 7:30 a.m. on Monday, July 29 through August 13, 2013, park officials announced. The temporary closure is part of an ongoing accessibility improvement project that is slated to continue at various sites throughout the park through September. The latest closure affects the parking lot located at the 7,000-foot elevation. Although the parking will be closed, park officials say the restrooms, visitor center, and bus parking will remain open. Vehicles remaining in the lot after 7:30 a.m. Monday will be ticketed and towed. Alternative short-term parking will be available, along with information provided at a tent on Hosmer Grover Road. “The work is occurring during summer because asphalt must be poured and set during the warmest, driest time of year,” park officials said in the announcement. 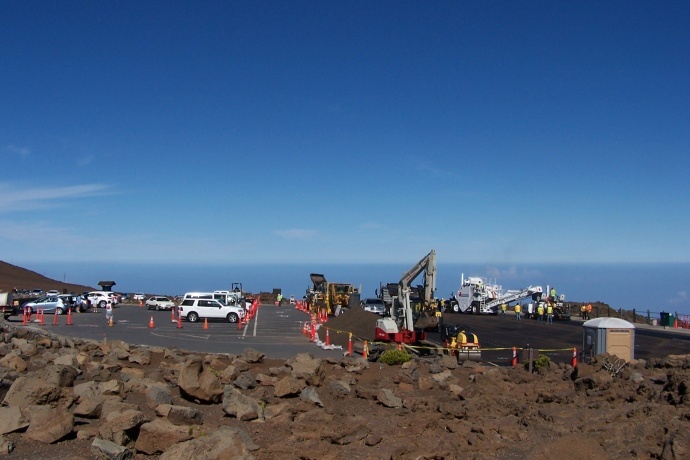 Visitors and residents can continue to expect continued heavy construction traffic on both Haleakalā Highway and Crater Road.